If the result is not as specified, check the accelerator pedal sensor assembly, wire harness or ECM. 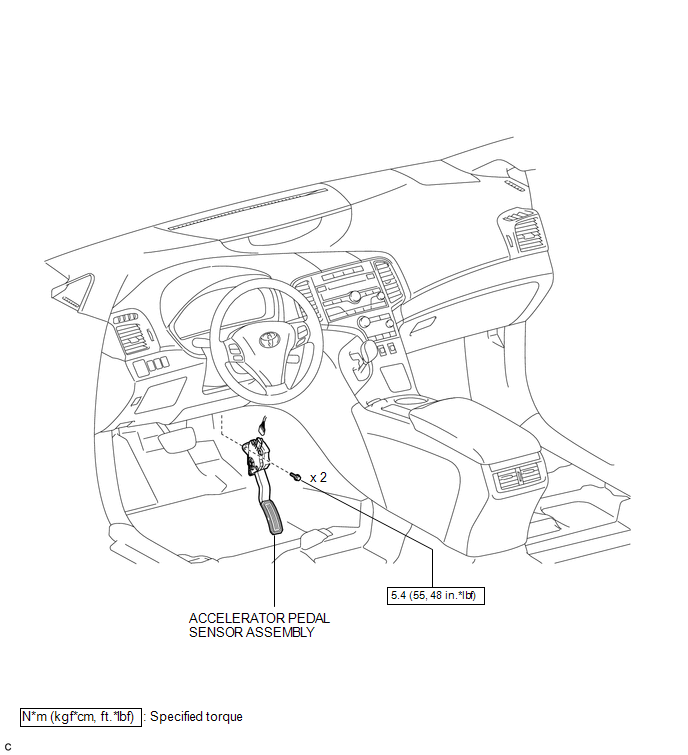 Avoid physical shock to the accelerator pedal sensor assembly. Do not disassemble the accelerator pedal sensor assembly. 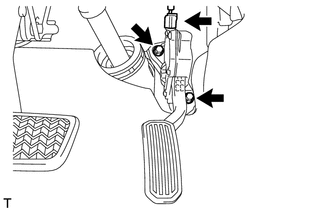 The accelerator pedal sensor assembly does not require lubrication. Do not apply oil or other lubricants to the accelerator pedal sensor assembly. If applied, the accelerator pedal sensor assembly must be replaced. (a) Install the accelerator pedal sensor assembly with the 2 bolts. (b) Connect the accelerator pedal sensor assembly connector. (b) Remove the 2 bolts and accelerator pedal sensor assembly.